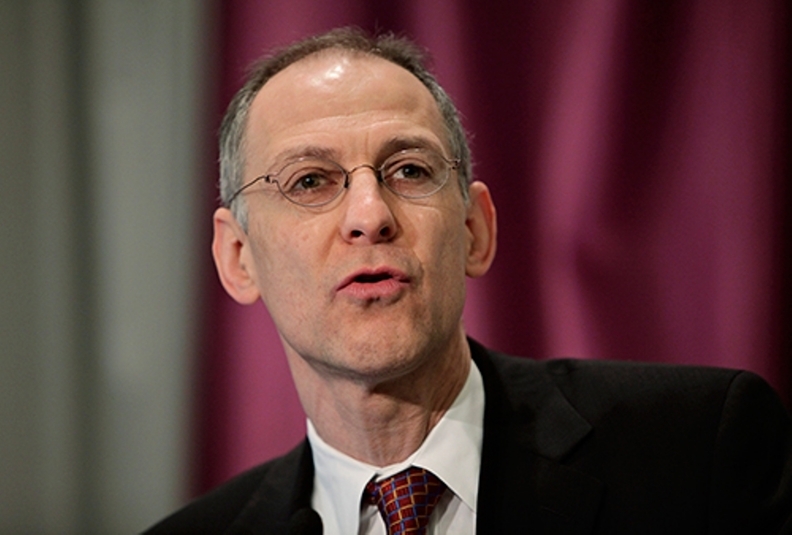 An effort to strip Dr. Ezekiel Emanuel of a 2013 honor was voted down by the American Medical Association House of Delegates during its interim meeting in Dallas Monday amid controversy about Emanuel's recent article in the Atlantic saying he'd prefer to die at 75. Emanuel was the 2013 winner of the American Medical Association Foundation's Isaac Hays, M.D. and John Bell, M.D. Award for Leadership in Medical Ethics and Professionalism. But his Atlantic piece drew the ire of some AMA delegates. The article led Saratoga Springs, N.Y., ophthalmologist Dr. Gregory Pinto to introduce a resolution calling for the foundation, a philanthropic arm of the AMA, to rescind its award. The award was named after the original co-authors of the AMA Code of Ethics, and Pinto's resolution (PDF) also directed the AMA to issue a public rebuke of Emanuel explaining how the opinion he expressed ran contrary to the AMA code, which calls on physicians to support access to medical care for all people without regard to age. The resolution was debated Sunday before the House of Delegates Committee on Constitution and Bylaws. The report also noted that rescinding the award “would cause undue controversy” as the article in question did not relate to the award he received. It was added, however, that it would be important to have future discussions on the surrounding issues of end-of-life care, elder care and patient autonomy. The amendment was not considered, however, as it was introduced after the committee's recommendations had already been voted on as a whole. Emanuel chairs the University of Pennsylvania department of medical ethics and health policy. He is also a former health policy adviser for the Obama administration's Office of Management and Budget and National Economic Council.